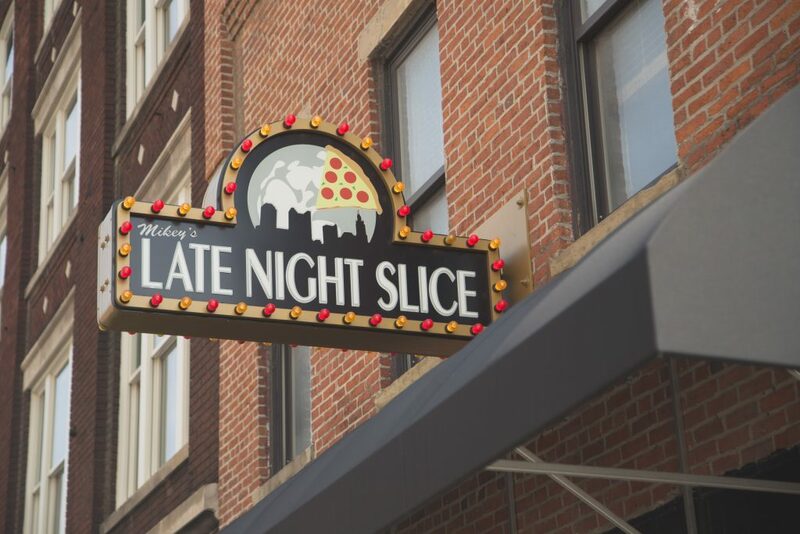 This former office supply store was renovated to become home to Mikey’s Late Night Slice. The vintage, architectural details of the space were preserved, while bringing in a branded experience to the space. This is a truly unique built environment for having a pizza and booze.